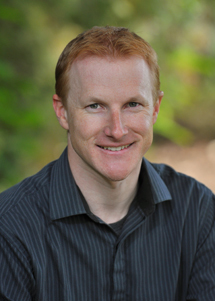 STI provides daily air quality forecasting, web services, and outreach support to help SMAQMD achieve its goals of protecting public health and the environment in the Sacramento region. We operate SMAQMD’s innovative Spare The Air summertime ozone and Check Before You Burn (CBYB) wintertime PM2.5 forecasting programs. 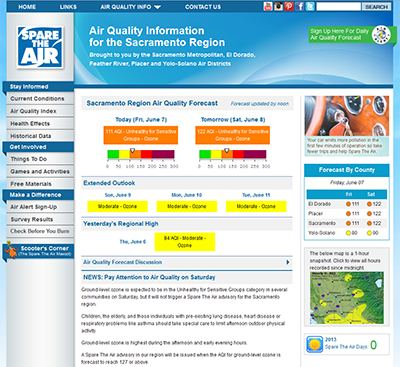 We also designed and operate SMAQMD’s data-rich Spare The Air website and created and maintain the Air Alert forecast and real-time email notification system. In addition, we develop ozone and PM2.5 forecasting tools to produce accurate and reliable air quality forecasts. Our extensive analyses demonstrated that SMAQMD’s CBYB program effectively reduces PM2.5 concentrations in the Sacramento region.